Got space so tight you can’t fit a standard couch? 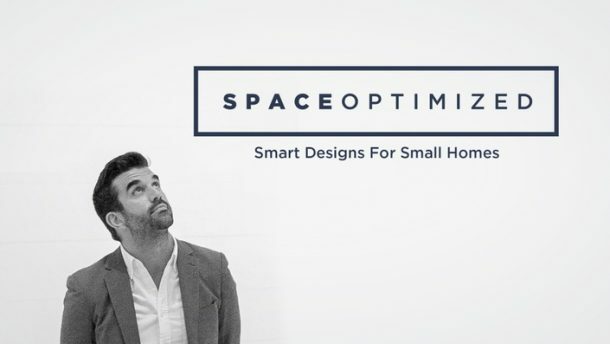 One of the many challenges of living in a small home is finding the right furniture that fits tight spaces. 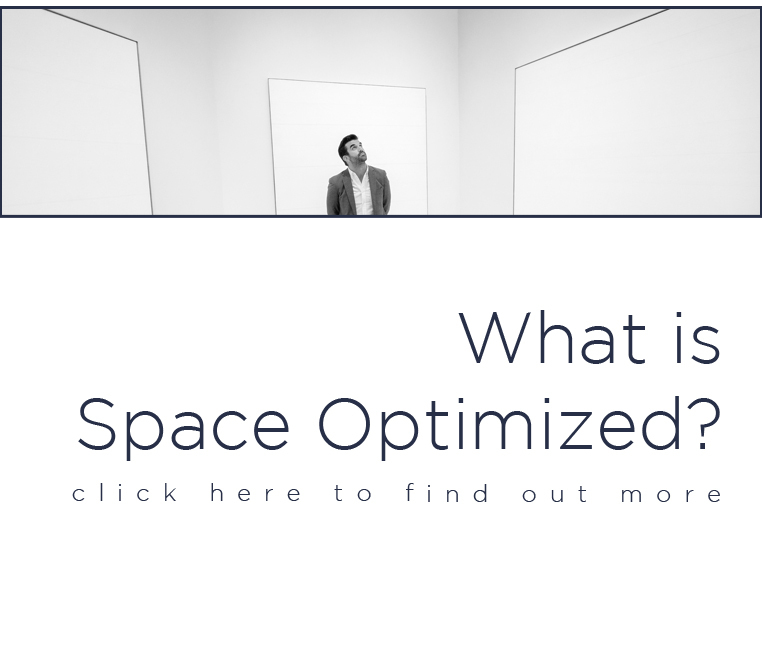 Since a regular couch is generally bulky, they are not the best option if space is an issue. Thankfully, apartment dwellers are no longer stuck making do with a frumpy futon when entertaining guests. If you’re in the market for a couch, consider picking up a multipurpose furniture to maximize space. A sleeper sofa is a perfect alternative to a standard couch. Sleeper sofas are hybrid seating solutions that pull double duty as a bed. Underneath the cushions is a metal frame that when pulled out, reveals a foldable mattress for sleeping! These stylish pieces have the right proportions to fit a small home! 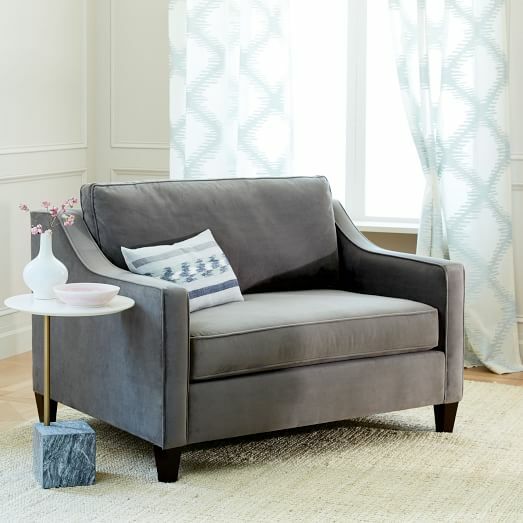 The Paidge Chair and a Half Twin Sleeper is a cozy but tiny sleeper sofa that fits the tightest of spaces. It looks like an oversized easy chair by day. As an easy chair, the Paidge Chair and a Half Twin Sleeper is perfect for lazy days spent lounging around the house. But at night, this stylish chair transforms into a twin-sized bed! This tiny couch-bed comes in pretty neutral colors to complement any interiors. Get the Paidge Chair and a Half Twin Sleeper here. Yet another neutral number that will elevate any interior style! 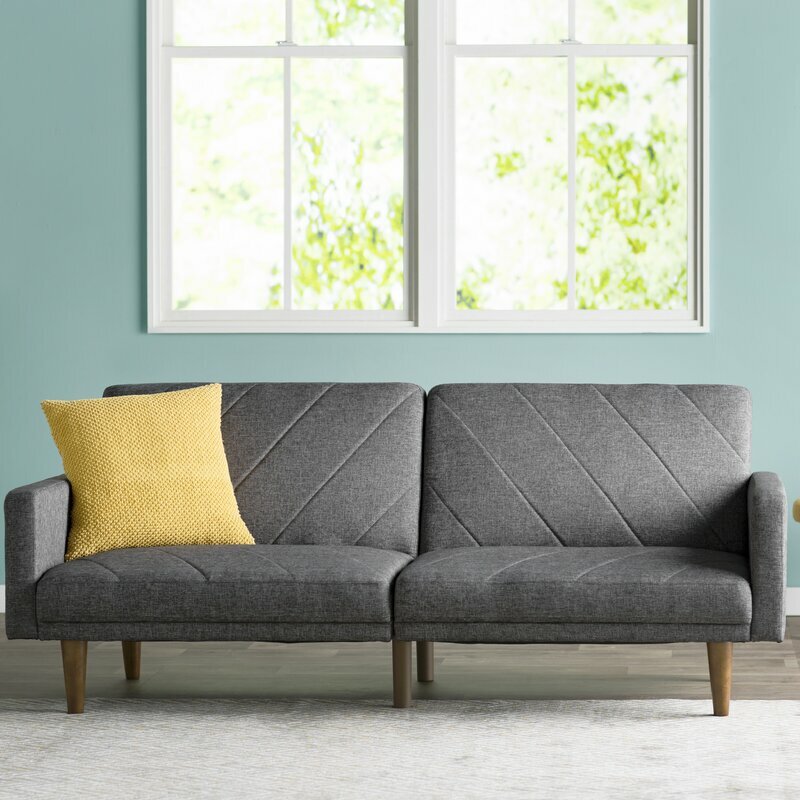 The Deco convertible sofa is a sleek 2-seater in stunning mid-century modern design. It looks like a regular couch but pull the high-density foam cushion underneath and it’s a bed! This super comfy bed-sofa hybrid is not only stylish and lightweight, it’s made of premium fabric too. 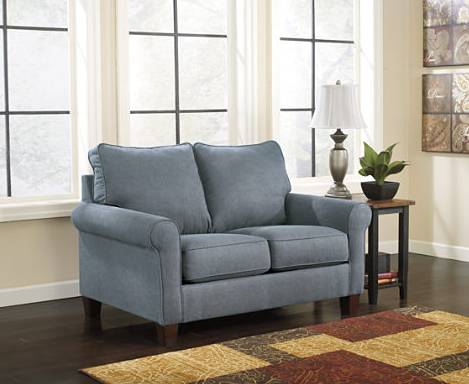 Its compact design makes the Deco Convertible a great sub for a standard couch in a small home. Get the Deco Convertible Sofa here. The PB Comfort English Upholstered Sleeper Sofa is an elegant sleeper sofa that comes in stunning colorways. Its traditional English roll arms add a touch of sophistication to any space while the extra deep seats are made for easy lounging. And hey, the PB converts into a queen-sized spring bed too! This masterfully designed sleeper sofa offers exceptional comfort sans the bulk. It’s also fitted with an adjustable, pop-up headrest. You can tilt the headrest up for comfortable reading or TV-watching. Get the PB Comfort English Upholstered Sleeper Sofa here. The Ferris Sleeper sofa is a retro-style bed-couch with striking diagonal stitching and solid wood legs. Its symmetrical design and tapered legs give the Ferris Sleeper sofa a fabulous vintage feel. The back of the sofa flattens completely, turning the sizable sofa into a bed! 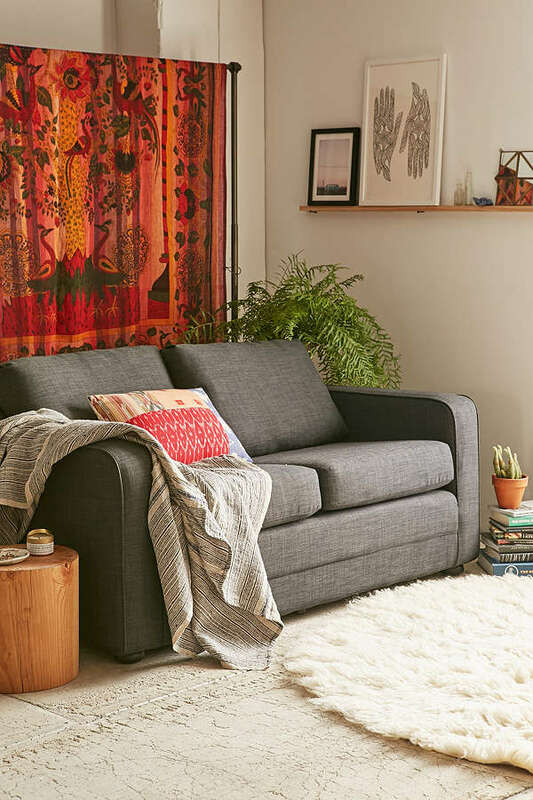 … if you’re on a budget, I’m happy to report that the Ferris sleeper sofa is on sale right now. Grab this sofa-bed here before it’s gone forever! 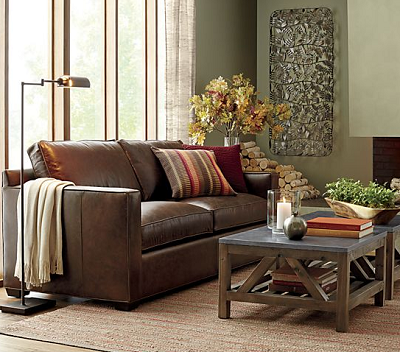 The Davis Sleeper sofa offers generous seating spaces in a small home. This luxurious sleeper sofa features an upholstered top-grain, dyed leather that gains a beautiful patina over time. It’s cushy and cozy thanks to its soy-based polyfoam cushions and fiber-fulled back cushions. Pop the mechanism underneath the seats and out comes the queen-sized innerspring mattress. The mattress is made from allergy-free, mildew-resistant material. Get the Davis Sleeper sofa here. 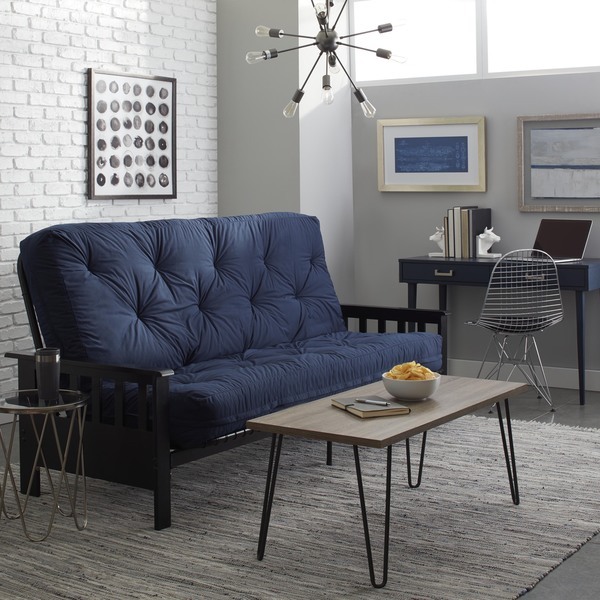 Sink into this classic tufted sleeper sofa! 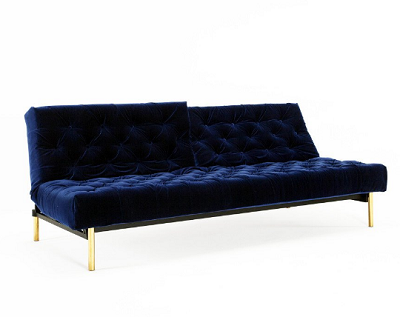 The Chester sleeper sofa brings drama in small spaces with its striking midnight blue velvet fabric and brass legs. The backrests recline into two sitting angles. It also flattens completely, turning the stunning tufted sofa into a double bed! Score this striking sleeper sofa here. 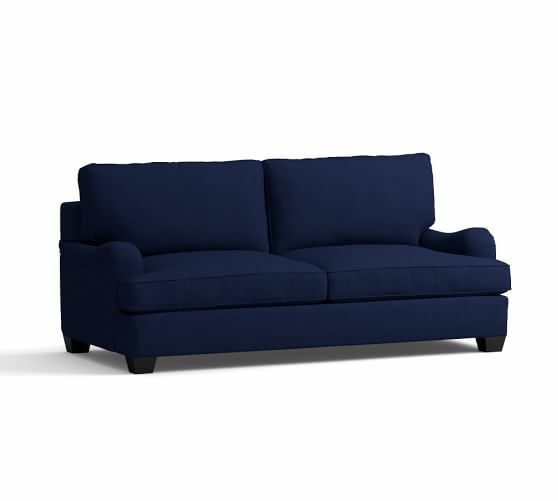 IKEA is also a great place to shop for affordable sleeper sofas that’ll fit a small home. This teal beauty right here is the Beddinge Lövås. It’s a simple sleeper sofa that offers thick cushions and lots of seating space for guests. At night time, the Beddinge Lövås transforms into a firm foam bed. It’s roomy enough to fit two guests. Give your small home a new look, get the Beddinge Lövås here. Don’t send guests packing! The Diplomat Sleeper Sofa is a cozy, inviting sofa that transforms into a queen-sized bed in seconds. It features a solid hardwood and plywood frame and hardwood base for utmost comfort and stability. The walnut legs add a touch of vintage vibe to an otherwise contemporary design. 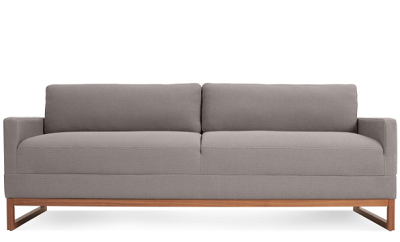 It’s a great sofa to get if you’d like to hygge up your home! Get this multipurpose sofa here. The Provo sofa sleeper is designed for quick naps or sleepovers. This cozy 2-seater by day and a full-sized futon mattress at night. It features a durable steel frame and mesh mattress for unparalleled support. The Provo’s high-density foam cushions – all wrapped in microfiber faux suede textile – offer utmost comfort for guests. Get the Provo sofa sleeper here. The Zeth Twin Sofa Sleeper is a versatile sofa-bed that offers optimal level of support and practical style. It features a durable, corner-blocked frame as well as high resiliency foam cushions. The foldable innerspring mattress is hidden under the seat cushions. It pops out with relative ease. This pretty 2-seater boasts of clean lines and simple design, another piece that’s sure to bring warmth to a space! Get the Zeth Twin Sofa Sleeper here!